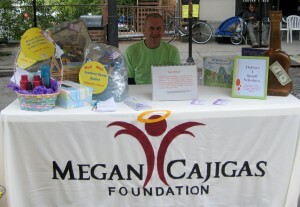 Here in our backyard was the perfect opportunity to build awareness for the foundation. Ed Kaczynski, foundation founder, worked diligently to talk to as many of the 30,000 or more people that stroll the festival as he could. We raised some Dollars for Small Scholars along the way! This entry was posted on Tuesday, April 12th, 2011 at 8:35 pm	and is filed under News and Events. You can follow any responses to this entry through the RSS 2.0 feed. Both comments and pings are currently closed. Copyright© 2011 - 2019 All rights reserved.